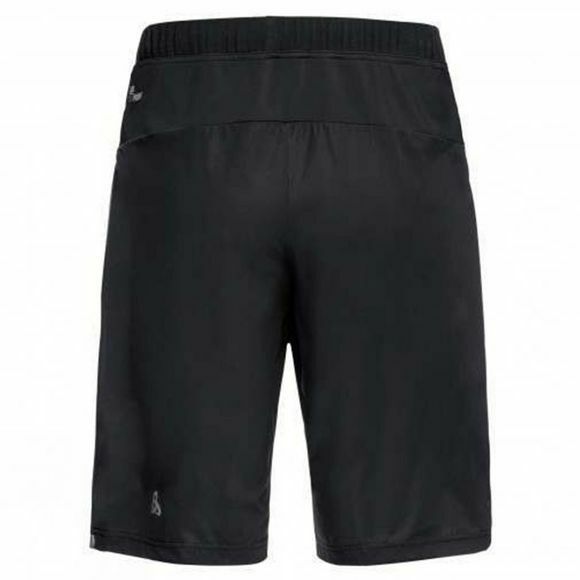 Running attire can be stylish and functional, and Zeroweight running shorts for men provide more features than you thought were possible in a pair of shorts, while ensuring you look stylish out on your run. Body-mapping construction is subtly incorporated in the product construction, and thorough research by Odlo’s product development team has ensured that all the right areas receive maximum comfort and protection. The addition of Odlo Logic Windproof technology combined with a long leg length means your thighs are shielded from the strongest of winds as you take on the streets and trails. Despite being longer than usual running shorts, Zeroweight stays true to its name providing that little bit of essential extra protection while remaining super lightweight and incredibly comfortable. An adjustable waist keeps the shorts in place however long your run. Whether you select green or black, the reflective elements on these shorts will keep you visible on the streets when you need to be seen. Whenever you run and in whatever conditions Zeroweight shorts will serve you well.